Look for a way to hide unpleasant scenery around your home or you want to revamp your old appliances without going broke?There is no need to throw away your old furniture. 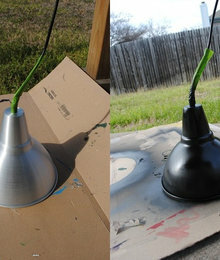 You can transform even the cheap or warn out elements of your interior into a stylish and expensive detail with a spray paint can. So save your cash and head to the store. It’s time to turn the trash into gold with these crafty and frugal ideas. If you are bored with the appearance of your dresser and cabinets, you can upgrade them without investing a lot of money or efforts for home repairs. 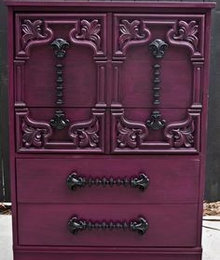 Simply some spray paint in pastel or neutral shade on your appliance and you will change the piece completely. The hardware is not the only place, where you can spray paint. 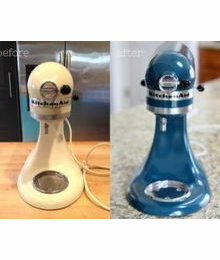 You can do the same with your kitchen appliances like the mixer or the toaster. This is a quick and cheap way to customize your items. If you don’t want to commit to an entire appliance, you can make small touches like painting the oven knobs. 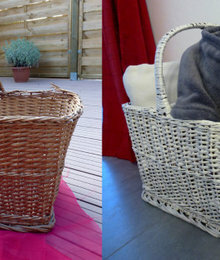 Don’t underestimate the power of a basket only because it looks cheap and boring. A little bit of white spray paint can work miracles on this often neglected storage solution. Whether you plan to use baskets in your bathroom, living room or any other place around your home, you can be sure that these items will not drag your interior down. Patio furniture usually comes in muted and tire some shades. This doesn’t mean that it should stay like this forever. With some vivid and upbeat shades, you can entirely change the appearance of your garden. 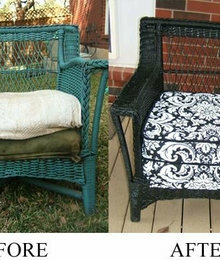 You don’t need to be an experienced handyman to give new look to the blunt patio furniture. A can of spray paint will do the job. 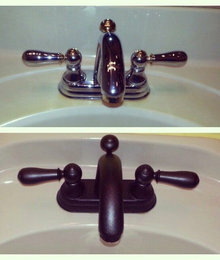 Do you feel fed up with your dated brass faucet? You want to get rid of it or replace it? Wait before you turn to the professional handyman services. With two coats of Rust-Oleum spray paint you can say goodbye to the old brass and say hello to the fashionable matte black. If you want to add a little class to your winter decor, ditch the traditional Christmas colors like red and green and replace it with gold. The bright and glittering shade will give your home a festive, yet trendy look to your home. 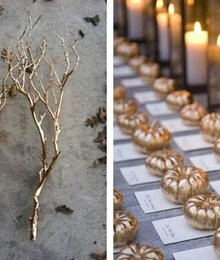 Collect a couple of dead branches and spray them with gold paint. 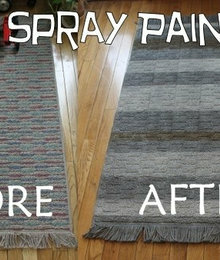 Yes, you can use spray paint even on a worn out and flat rug. Create your own high-end flooring solution without the price tag. You can look up the internet for inspiration. A customized pattern will give your rug a designer look. 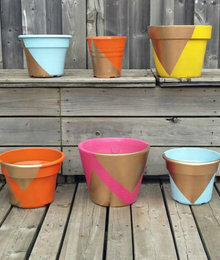 Spray paint the cheap planters to give them more uniform appearance. If you are running short on pots, you can recycle the unused plastic cans. With a pop of color, these items can become lovely planters.